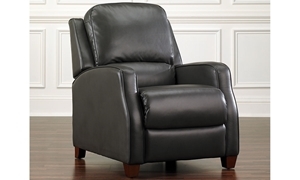 Hand tailored recliner with integral back and arm supports. 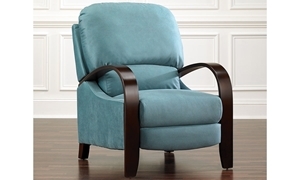 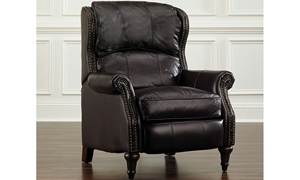 Teal handcrafted push back recliner features a comfortable three-way recline mechanism and steam bent wooden arms. 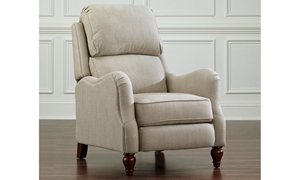 Hand-tailored recliner with English rolled arms and sectioned back cushions. 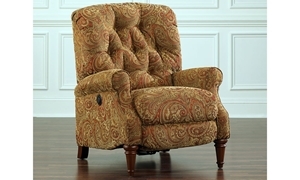 Power reclining arm chair in a paisley upholstery with button tufting and quality construction. 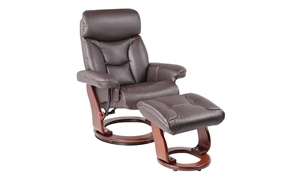 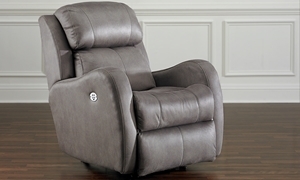 Sleek, ergonomic recliner in brown faux leather features an adjustable headrest and 360-degree swivel base, plus matching ottoman. 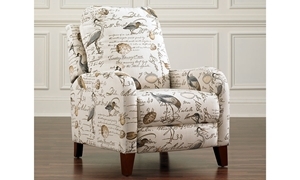 Bird patterned upholstery hand tailored over a deep reclining arm chair with ball turned stretchers and integral back and arm support.